Rufus is smart utility to extract ISO files at very fast speed; create bootable USB drives easily, copy data faster and convert a normal removable drive into bootable USB flash. In simple words, it can convert a normal flash drive into completely bootable disk drive with addition of extracting or copying target files. The data copying speed is faster comparing to HP USB Disk Storage Format Tool, UltraISO, Windows USB/DVD Download Tool and others. 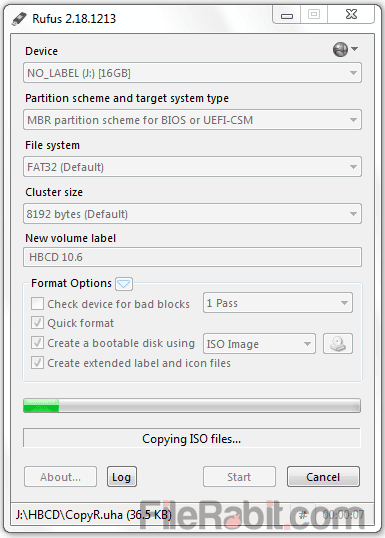 Rufus is the simple, fast and easier way to make your normal USB drives into bootable drives. It support all types of ISO image files. Furthermore, it can forcefully format external media that maybe showing different errors including drive is right protected, drive is corrupted, unable to format and more. 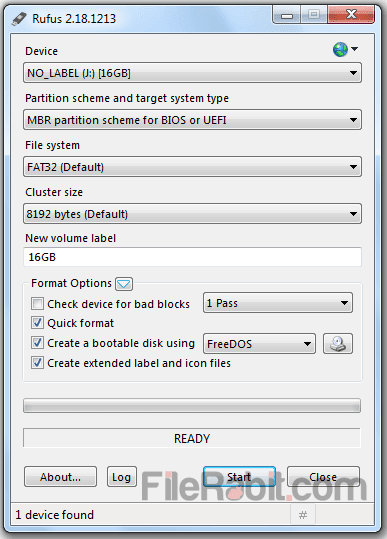 Windows default format functionality has support for both FAT32 and NTFS but the Rufus has large support in file system. 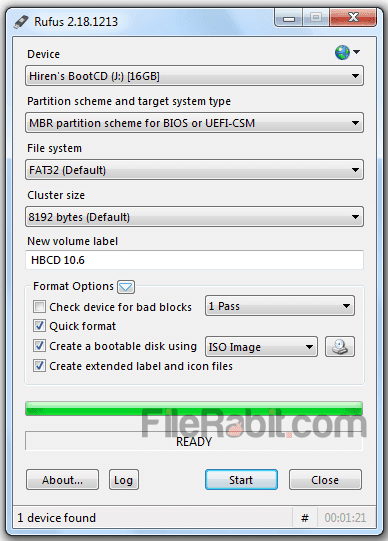 Rufus support different operating system extraction with creation of bootable USB flash drives including Ubuntu, Microsoft Windows and Linux. Basically, its an intelligent software tool that will adjust best compatible settings with adjusting file system, cluster size, MBR, buffer size and more. The extended label and icon file support is already added into latest version. Multiple boot selection system includes a list of booting systems that will make it easier to select target boot system. The list includes Non bootable, MS-DOS, FreeDOS, Disk or ISO Image (selection of target file is required), Syslinux, ReactOS, Grub, Grub4OS and UEFI:NTFS as well. The speed of extracting files into removable media is really fast and amazing. It can extract GB’s of data in few minutes while UltraISO, PowerISO and similar applications are more time taking. Rufus has simple layout that has clear layout, light color scheme and less resource taking application. Rufus has intelligent engine system that will automatically check weather the target ISO file is bootable or non-bootable. It support only bootable ISO files even Windows installation disc’s, antivirus, hard disk management tools, disc management utilities and more.